Happy New Year! Today’s show is the first of 2018 and it is all about how to start this year off right and keep it going great, no matter what curve balls life might throw at us. Here at Soul Force Politics, we are interested in giving you the tools to be more resilient in the face of conflict. How do we cultivate a better practice of awareness and observation to shape our perspective and navigate our health? 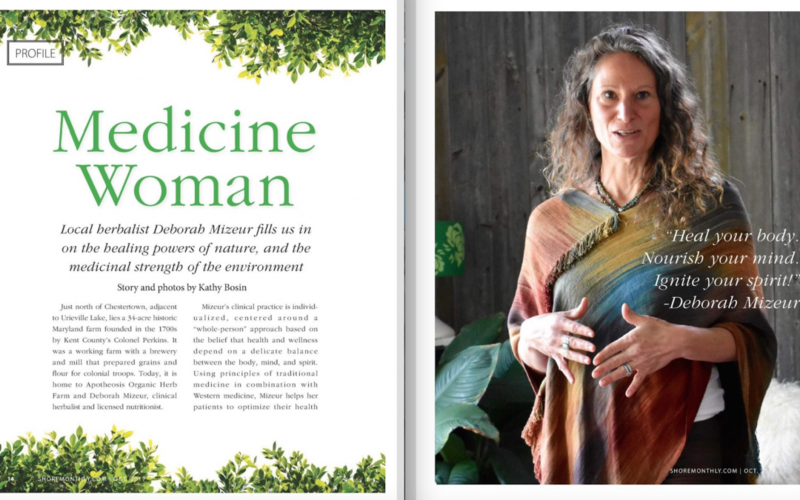 We explore these concepts today with a very wise healer, teacher, advocate, and clinician who was recently profiled as a “Modern Medicine Woman” in a cover story for the October 2017 edition of Shore Monthly magazine. Our guest today is Deborah Mizeur. Yes, she also happens to be my spouse. But I promise my praise of her has nothing to do with being biased! Baltimore’s NPR Station, WYPR, interviewed Deborah Mizeur for a segment on “Food as Medicine.” You can find that link here.